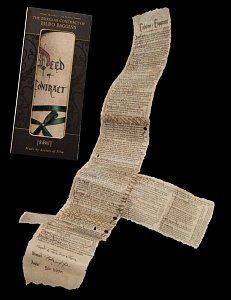 A hefty document by any standards, these Conditions of Engagement govern a job that Thorin Oakenshield desperately needs done. 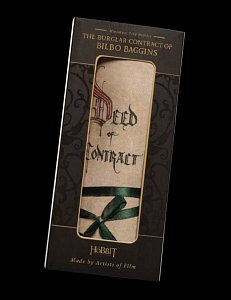 An adventurous undertaking judging by the Contract, and adventure is something most hobbits resist. If Bilbo Baggins returns from this quest alive, he will not be the same hobbit who ran from his front door, having forgotten his pocket handkerchief. 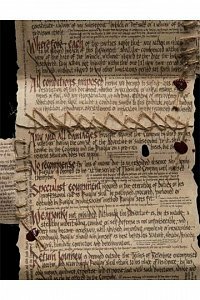 This is a mini version of our full-scale prop replica, made to the same quality with hand-stitching and wax seals. It comes packaged nicely folded up in a display boy fit for your shelf.